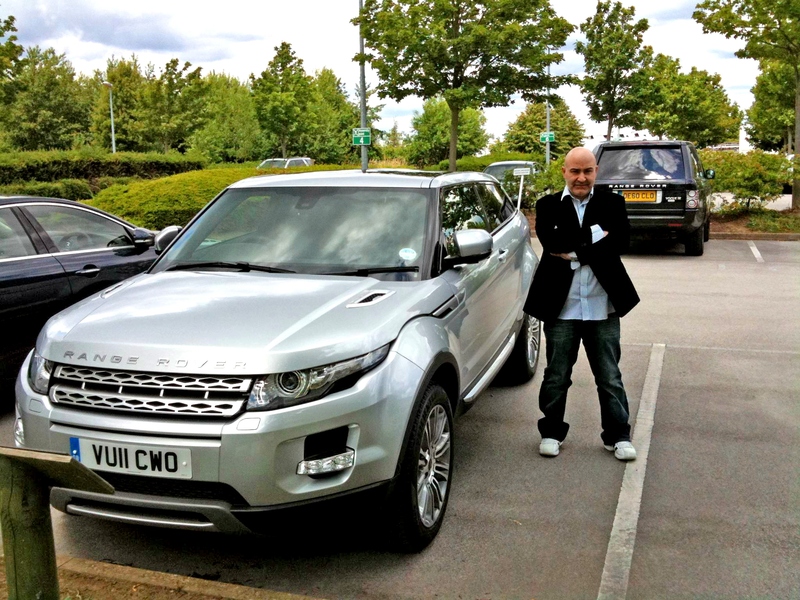 two thousand eleven, I actually sat behind the wheel and started up the engine of a brand NEW red Range Rover Evoque Dynamic, not due in showrooms until August 2011, and the verdict… um, well, I’m not allowed to tell you. That’s right, from the moment we passed security at Range Rover headquarters in Gaydon Warwickshire there was a cellphone blackout. And that’s not all, I had been told that my previous posts from the heart of product development meetings had been read by the powers that be. The result is that, upon arrival, we were all asked to sign non disclosure agreements! Oh well, it was good whilst it lasted. And you can’t blame Range Rover. The whole point of these meetings is to strive to ensure that when the car finally comes to market it is the best that it can be and that the various flavours (or models) available to Range Rover’s prospective customers meets with their expectation. And all was not lost. Whilst we were not able to use our phones inside the building and on the top of the range model we were allowed to get our mitts on, we did come across a beautiful silver version shimmering, quite conveniently, in one of the board director’s parking spaces. Of course, always one to take advantage of an opportunity, I decided to snap a few pictures. I think most will agree, it is a beautiful car but with prices ranging from £30,000 -£50,000, will many (including me) find the price tag equally as alluring? We’ll find out when the car drives its way into showrooms in August 2011.